First, source some containers. This can be as easy as checking your recycling bin—old yogurt containers, egg cartons, jars, or soda bottles all make great growing vessels. To prepare the pots, simply clean them and poke a few holes in the bottom, or add some pebbles for drainage. Second, find some seeds. You can make a trip to a local home improvement store for a nice selection, or check your local grocery or hardware store. Great seeds to pick include cosmos, zinna, and pansies. If no seed packets are available, grab a sweet potato, or a bunch of celery. When you’ve found your seeds and pots, it’s time to plant! Fill the containers to about half an inch from the top with soil. You can use a fancy potting mix or plain old dirt. If you don’t have soil on hand, you can even get things started with a few crumpled paper towels. Sprinkle the seeds on the surface, push them into the soil a bit, and then water using a spray bottle or a sippy cup. Place your containers in a sunny location and get ready to watch and wait. 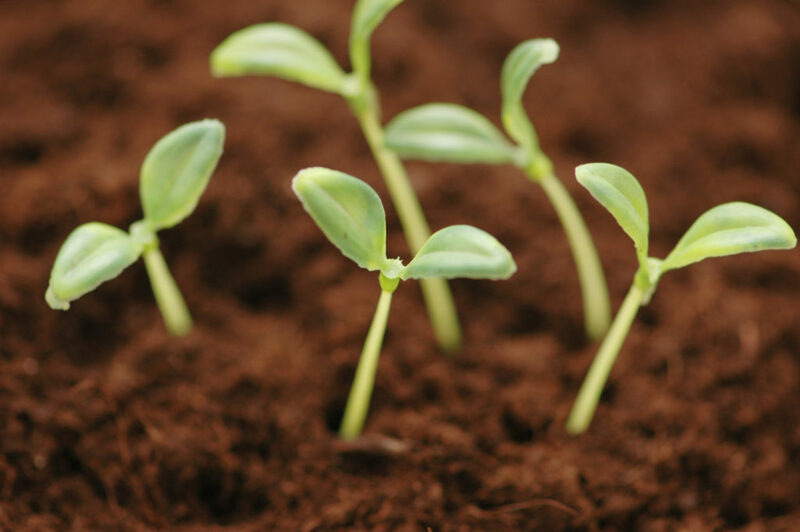 Many of the seeds will begin to sprout within 7-14 days. In the meantime, you can keep the waiting game fun by marking off the days on a calendar or making a chart to track the growing progress. If you picked up a sweet potato, you can cut the potato in half and place it in a saucer of water—it will start sprouting in just a few days. Or if you grabbed celery, trim it to about 3 inches from the base and place in a saucer of water for quick sprouting, as well. Once your little plants begin to sprout, stick to a regular watering schedule. If they begin to overtake your container, you can thin them out by pinching off the straggling starts and replanting in a bigger container, as needed.